Damien Chazelle is the youngest director whose film had the honor of opening the Venice Film Festival twice within two years. Two years ago with his successful, Golden Globe-winning, La La Land and again this year with his new film, First Man, in which Chazelle once again teams up with Ryan Gosling. Gosling plays astronaut Neil Armstrong, the first man to set foot on the Moon during the historic Apollo 11 mission on July 20, 1969. Claire Foy is the strong, loyal and passionate, wife to Armstrong, Janet, and the film alternates between the private life of the man (who tragically lost a small daughter to cancer) and his outsized role in the Moon race. 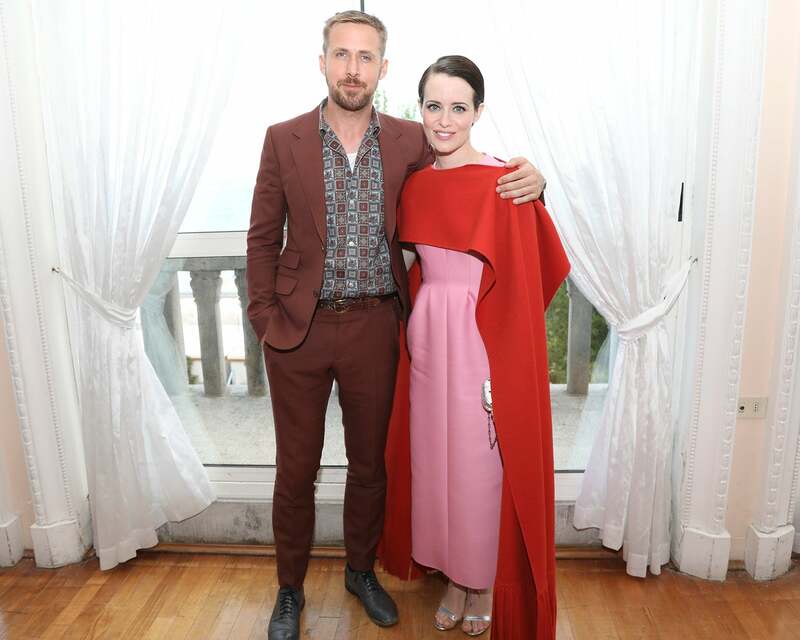 Ryan Gosling and Claire Foy at the HFPA reception in Venice.